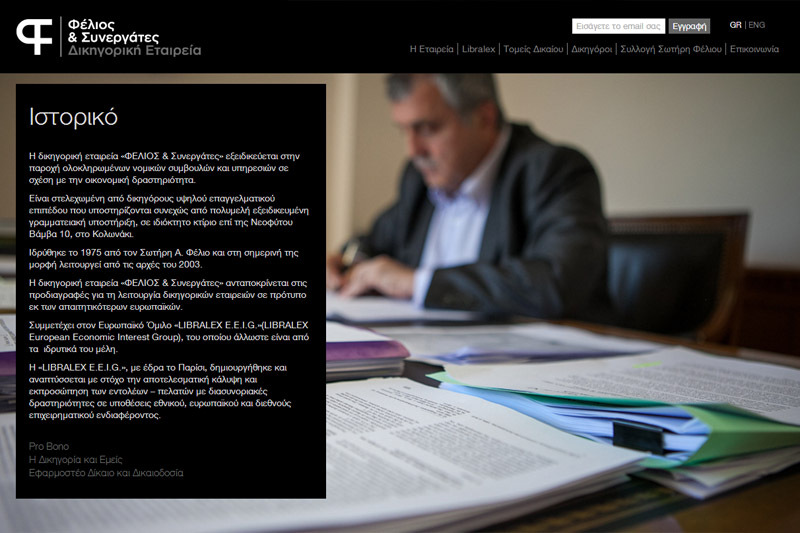 Felios Law Firm is one of the biggest law firms in Greece. So when it comes to their e-representation, it is serious business. So under Designers United guidance and graphic excellence, we managed to complete a simple, yet delicate and detailed project. Trivia : Mr. Sotiris Felios, Felios Law Firm founder, is an awesome art collector. How cool is that?